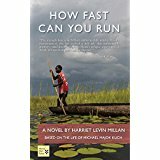 How Fast Can You Run is a fictionalized account of Michael Majok Kuch’s 600-km (372-mile) flight, by foot, from his home in the current nation of South Sudan. Separated from his mother at age five, and after languishing for 10 years in five refugee camps, Kuch won admission to the United States and earned degrees in a local high school, college, and graduate school. Upon earning his master’s, he chose to return and help build a new nation. He is now an advisor in Research and Policy in the Office of the President. Kuch met the author, Harriet Levin Millan, when she interviewed 10 Sudanese refugees for an oral history project at Drexel, where she directs the program in writing and publishing. Kuch had been seeking a format to tell his story. A poet at heart— and with a MFA in creative writing from the Iowa Writers Workshop— Millan and Kuch decided on a fictionalized account, because of the difficulty of seeking permission from many people dispersed across the world. Also, a novel allows Millan to enter the mind of Kuch and portray the perspective from his eyes. Poetry would not have allowed her the scope to tell the life journey with so many harrowing incidents, including running away from wild animals and running away from Al-Shabaab, a jihadist terrorist group in East Africa. What was Kuch’s biggest life lesson? Optimism. After all the trauma and dangers of his childhood, he managed to survive. Those survival skills give him lots of hope for a better world. Kuch reunited with his mother in Australia 22 years after their harrowing separation. Memoirs allow me to live vicariously in others’ lifestyles and cultures. They have taught me about the diversity in people’s choices and values. I was first drawn to Suzanne McMinn’s new memoir, Chickens in the Road, because of the red barn on the cover, the mention of chickens, and the subtitle, “An adventure in ordinary splendor.” What I got was more than just a chronicle of “Do It Yourself” (DIY) self-sufficiency projects. McMinn’s journey, from being a city girl to a farmer, is also a road map for finding inner strength in the face of adversity. Fear had paralyzed her from making difficult decisions, but when she finally did so, the right choices were awaiting her. McMinn begins her tale with her move to the Appalachian mountains of West Virginia, where her family had lived for generations. She uprooted her three children from their city life in Texas to live in the old farmhouse (dubbed “the Slanted Little House” for its uneven floors). There she learned to can food, kill raccoons with a .22 long rifle, and ignite the gas stove in the “cellar porch,” in a futile attempt to keep the pipes from freezing. Later, she built a new home on a 40-acre farm with her new partner. It was so isolated that it could only be reached by fording three creeks in one direction, and a river in the other one. Poverty was another kind of isolation in Appalachia. They had neighbors who did not have a phone service, and still relied on an outhouse. McMinn gathered around her a veritable menagerie of chickens, dairy goats, sheep and pigs, but they were more of a petting zoo than hardworking farm animals. The addition of a milk cow finally made her feel like a real farmer. The cow, although elderly, bony and ugly, was an abundant source of milk. However, the physical effort of milking was greater for the novice farmer: The first day, it took her an hour and a half to yield just three-quarters of a gallon of milk. Over time, her fingers, arms, and back got stronger, and she acquired more stamina. Then she ventured into making butter and cheese, but the first batch of cheese was inedible. For some reason, there are those of us who leave the collective cocoon of public care, determined to test our grit against the challenge of individual self-sufficiency. Maybe it’s stubbornness. Maybe it’s arrogance. Maybe it’s the desire to meet and defeat challenge. Other people jump out of airplanes. Some climb sheer mountain faces. Still others race cars. It’s all about testing some deep place inside that the comfortable, secure world today won’t make you test otherwise. For me, it was surviving winter on a remote farm. That was my airplane, my mountain, my race car. My test. I preferred Barbara Kingsolver’s 2008 memoir, “Animal, Vegetable, Miracle: A Year of Food Life” for her narrative skill, and because it was first farm memoir that I have read, but one plot twist in Chickens in the Road made it worthwhile. McMinn made an emotional breakthrough, that could be a source of inspiration to all of us facing a difficult life decision. Her partner was ready for any new self-sufficiency project, but he had a bizarre temper. While it was gut-wrenching for me to read about their fights, and the verbal abuse he heaped on her, it made the climax much more riveting. She loved her farm, and she needed his physical strength to do chores. She could not manage to do those chores by herself on a remote farm with an inconvenient layout, that was cut off from civilization with the first snowfall. However, when their relationship problems came to a head, she surprised them both by moving out. Two miracles occurred at this point. The first miracle was that McMinn quickly found another farm just 10 miles away. It came with a paved road, mail delivery, and a bus stop in front of the house, so no more overnight stays in town for her children when she could not get down the steep driveway. The small but charming 1930s farmhouse had been restored and maintained, and it had gas for heating. A separate studio was suitable for classes and farm-related events, equipped with up-to-code plumbing. The farm had mature cherry and apple trees, and wild berry bushes. Much of the 100 acres, that were flat, had been cleared and fenced, ready for animals to move right in. There was a faucet in the goat field for water (no more carrying water!). There was a good well, and public water too. To the delight of the teen daughter, there were a stable and a pasture for horses. With the accessible layout of the farm, the chickens could finally even go in the road. To McMinn, it was the only farm she visited, and she wrote that “It looked like it had fallen off the pages of a children’s storybook and it was everything I’d ever dreamed a farm would be.” The farm had lain fallow for two years, until McMinn was ready to step out on her own. A religious Jew would call that bashert (predestined). The lesson for me was broader than the feminist message, of breaking away from her abusive partner. It stood for the times that we have to make difficult decisions, and we are paralyzed by fear: fear of the unknown and fear of change. God has a plan for us, and we have to trust in the timeliness of how people and events come into our lives at the right time. And that is a lesson for 5774, in which we face new challenges, for the good and the not-so-good. Chickens in the Road will be released on October 15. It has an appendix of recipes: an iron skillet upside-down pizza recipe that came from a West Virginia Department of Agriculture pamphlet and one for making vanilla extract that will be a cost-saver for home bakers. Another appendix of crafts, includes instruction for making hot-process soap (faster than cold-process), beeswax lip balm, and laundry detergent. Beyond the avid DIYer, this book would be useful for a school pioneer project, or a recreation of shtetl life. A blog by the same name is available at www.chickensintheroad.com. I’ve finished All Roads Lead to Austen: A Year-long Journey with Jane by Amy Elizabeth Smith and I’m in love! This memoir details the author’s sabbatical from teaching English literature. Giving herself a final creative project as assigned to her students, Smith traveled to six countries in Latin America and led reading groups on Jane Austen’s novels. I learned that Chilean Spanish is the hardest accent to master and Buenos Aires is the best city for booklovers. Smith’s difficulty in adjusting to the different accents in the six countries reminded me that my elder daughter had great language pedagogy in high school, where each teacher had an accent from a different part of the Spanish-speaking Americas. When the author first referred to herself as estadounidense, I thought she was mocking herself, but this is now the way to say you’re from the United States. In high school, I’d learned to identify myself as, americana or de Estado Unidos, but a politically neutral phrase has evolved in the 34 years since I’ve studied the language. Last year, my book group read A Jane Austen Education: How Six Novels Taught Me About Love, Friendship, and the Things That Really Matter by William Deresiewicz and we were disappointed. (No, we’re not members of JASNA, the Jane Austen Society of North America, and we do read other authors.) That book offered hardly any new insight for us and we disliked how the author disparaged his family and friends in print, although we noticed that he’d waited until his father had passed away. In Smith’s memoir, she traveled to six Latin-American countries — Guatemala, Mexico, Ecuador, Chile, Paraguay, and Argentina — where by intent or by happenstance, she found readers to discuss Austen’s novels. What is marvelous to me is that people from humble backgrounds had just as much insight into Austen’s motivations and her characters as those of the literati. What was delightful to Smith was finding that readers in Latin America had just as much a visceral response to Austen’s writing as her students in California. Austen does translate well into Spanish-speaking America! 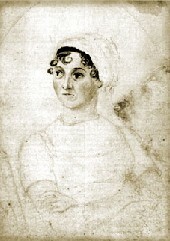 The Latin-American readers all connected to the “believable happiness” of Austen’s protagonists, where they “all find love, but it’s embedded in situations we can identify with: money woes; frustrating relatives; unavoidable personality clashes.” Smith recorded arguments in Spanish over the characters, including the loud one by the Chilean readers over the relationship between Marianne and Colonel Brandon in Sense and Sensibility, because it was the most implausible liaison of the Austen heroines. Smith discovered to her dismay how often and quickly she made assumptions about the people she encountered in each country — and she met her own Señor Darcy. If every one of us can learn to withhold judgment of others, then it would be a worthy journey of the soul. Travel is fatal to prejudice, bigotry, and narrow-mindedness and many of our people need it sorely on those accounts. Broad, wholesome, charitable views of men and things cannot be acquired by vegetating in one little corner of the earth all one’s lifetime.